Lauren Carr, top-selling mystery author, has a new book in the works: Authors in Bathrobes. It is a down-to-earth tutorial for the new author. It will be available before Christmas on Amazon. I want to share an excerpt from her book that describes where I am in the publishing process. It is an educational eye-opener for the new author who has a publication-ready manuscript and wants to know what comes next. When you traditionally publish, approximately three to four months before a book is released, the publisher will send out advanced copies of books to publications, reviewers, or even celebrities. Authors will sometimes offer ARC’s as giveaways or prizes for fans. The reviewers are able to read the book and provide reviews, which will come out at the same time as the release. This is how big-named books by major authors have hundreds of reviews posted, sometimes even before the book is released. Big publishers will send out hundreds (sometimes thousands) of ARC’s, also called Uncorrected Proofs, to get the publicity ball rolling. The reviewers know that they are reading a proof, so they are forgiving of typos and errors. Meanwhile, the author is reviewing the book for any last-minute errors he or she may catch. Because I am a new author and do not have a staff of editors to do the work of editing for me, I am s-l-o-w about getting my changes made. I grossly underestimated the time it would take to proof and correct my book manuscript. Lauren’s book will help you avoid lots of mistakes that beginners make. Watch for it. It is coming soon! 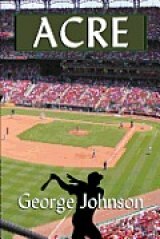 George Johnson’s “Acre” (Acorn Book Services, trade paperback/available as a Kindle eBook, 288 pages, $15.00, available from Amazon.com, Powell’s books, Barnes and Noble and other online book sources) is about a baseball player who seems too good to be true, playing in a time when $35,000 a year was a good salary. Growing up in Delaney, Utah in the 1940s and early 1950s, Acre Thomas Tulley knows he’s destined to play major league baseball, specifically for the Kansas City Royals. But since this is a fantasy — it has to be! — It’s an alternate universe Kansas City Royals. I didn’t think the Royals were around in the 1950s, when a $35,000 yearly salary was considered excellent. I turned to the trusty Google and Wikipedia — two wonders that didn’t exist when Acre was practicing hitting in the batting cage his father built for him — and learned that the K.C. Royals were a 1969 expansion team in the American League, along with the Seattle Pilots. But since this is fiction, just let the words flow and enjoy this tale of a remarkable young man, who, after he joins the team on a year-to-year basis, decides he’s going to play for ten years, then marry Willa, his sweetheart, and attend Utah University. Does Acre Tulley keep to his plan, despite the Gold Gloves, the All-Star Game appearances as a second baseman, the adulation, and the money? Management at the Royals wishes Tulley would play forever: He’s a seat filler and fan favorite and a .400-plus hitter. I’m not going to give away the plot points, other than to say to know Acre is to love him. He devotes time to visit terminally ill young people in hospitals, including an admirer named Homer Dweed (get used to weird names, the book is full of them! ), a cancer patient at Children’s Hospital. Acre Tulley is paying for Homer’s treatment in an arrangement that Homer’s single mom doesn’t know about. Did I say he’s too good to be true! The scenes where Acre and Willa visit Homer are guaranteed to bring tears to your eyes. If you’re a baseball fan, you’ll love this book, especially as the All-Star Game nears. If you’re not, you’re in luck because Johnson provides a glossary of terms. . .
George Johnson is a retired elementary school teacher from Prince George’s County, Maryland. He thought about “Acre” for two years before he finally put it in writing. Then it took him three years, off and on, to complete it and put it in print. Being a late starter, George completed his second book of fiction called Timber. Acre and Timber are brother and sister. Timber took him two years to complete. At the present time he is putting together a collection of short stories he has compiled over the years. George lives in Hagerstown, Maryland with Sharon, his wife of fifty-four years. First, the reviewer says George’s character Acre is too good to be true. I was privy to criticism George received from Acorn Book Services before the book was published. The publisher made the same observation. The author chose to keep Acre as he is. That is the writer’s prerogative. That choice did not escape notice by the reviewer. Second, the reviewer catches factual errors in George’s novel. The baseball team George writes about did not exist in the year George sets his story. Oopsie! The lesson for authors–check your facts. Do your research. Or get caught, as George did, with your pants down. These lessons aside, the reviewer liked the characters and the story. 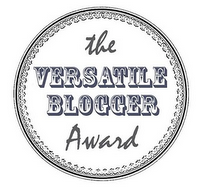 That’s a tremendous achievement for an author’s first novel. George deserves a pat on the back. May I be as fortunate when my first novel hits the critic’s desk.